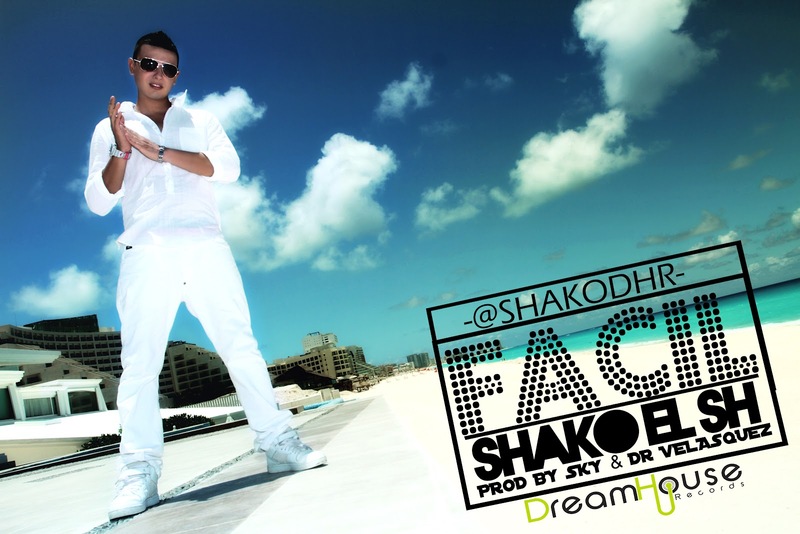 SE ESTRENA EN EL MUNDO LATINO, EL VIDEO DE “FACIL” EL MAS RECIENTE ÉXITO DEL ARTISTA URBANO SHAKO, AUNQUE HACE VARIOS DÍAS, LA CANCIÓN SUENA EN LA RADIO "FACIL", PROMETE SER UNA DE LAS CANCIONES MAS IMPORTANTES DEL 2012. TENIENDO COMO LOCACIONES LAS PLAYAS DE ACAPULCO Y LA CIUDAD DE MEDELLÍN FACIL ES UN VIDEO, CON 2 VERSIONES LA PRIMERA PROTAGONIZADA POR SHAKO Y LA SEGUNDA EL REMIX OFICIAL CON JOWELL Y YOMO, DOS DE LOS GRANDES EXPONENTES QUE TIENE LA MÚSICA URBANA EN EL MUNDO. DEBIDO A LA ACOGIDA QUE HA TENIDO “FACIL” EN LAS EMISORAS DE CENTRO Y SURAMÉRICA, EL PRÓXIMO 17 DE MARZO, EL ARTISTA PISA POR PRIMERA VEZ EN CARACAS Y LLEVARÁ A CABO SU GIRA PROMOCIONAL POR EL EXTENSO TERRITORIO VENEZOLANO. SU NOMBRE REAL ES SANTIAGO CHACÓN GÓMEZ. NACIÓ EN MEDELLÍN EL 1 DE JUNIO DE 1983, DESDE SUS PRIMEROS AÑOS SE MOSTRÓ INTERESADO POR LAS TARIMAS PARTICIPANDO EN VARIOS GRUPOS DE TEATRO Y DE MÚSICA, EN 1994 CONOCE EL GÉNERO CON LA PRODUCCIÓN DJ ERIC NRT CLEANLYRICS LA CUAL LO INSPIRA POR UN GÉNERO MUSICAL DESCONOCIDO PARA ESTE TIEMPO EN COLOMBIA.